When HBO launches its standalone streaming subscription next year, a company called MLB Advanced is going to take over the actual streaming tech. This is a good thing, unless you have an unslakable fetish for premier night failures. HBO's old streaming tech just couldn't handle the demands. 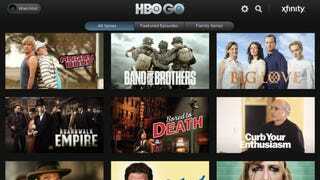 HBO knows enough not to trust HBO to run its streaming service. After a year of embarrassing outages—always at the worst possible time—the company circulated its plans to hand the job over to MLB Advanced in an internal memo obtained by Fortune. This meant canceling its plans for an in-house product made by a team called Project Maui. HBO plans to roll out this standalone service in April, when the next season of Game of Thrones begins. Project Maui is dead, but if this means streaming won't putter out when True Detective season 2 starts up, this is a win for HBO subscribers. MLB Advanced has a strong track record with streaming tech; the company already handles streaming big events for the WWE, so it should be able to help HBO take its streaming quality from The Newsroom (antiquated; tech-averse) to The Wire (unassailably dope). We don't know what this means long-term for HBO Go, the service that will presumably still be offered to old-school HBO subscribers (and their kids, neighbors, cousins, nephews, anyone else with the login details). The internal memo stresses that HBO will continue working the existing service, but if the standalone solution with its expert third-party implementation way outclasses current HBO Go, it might be hard for HBO to keep everyone from jumping ship.